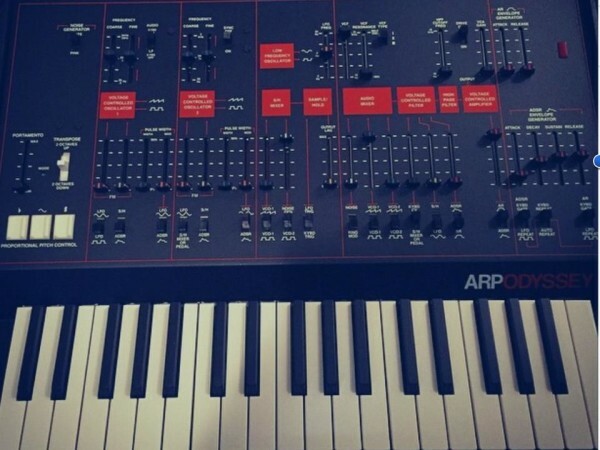 ARP ODYSSEY is the one by Korg and seems to have full sized keys, 3 filters (2pole white face, moog and „Arp“ type of 24dB/oct) along with a drive switch and I assume it might have MIDI as simple as the MS20 mini has – note on and off – no velocity since the Odyssey has duophonic modes and is always in that mode it needs to be aware of 2 held keys. 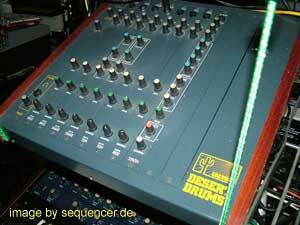 they seem to sell it under ARP rather than Korg?.. –> Korg Odyssey in SynthDB <— tech specs. #korg odyssey – and 3/4 smaller (love that) – $999 – in the us – guess that is 999€ over here, huh? the 1973 one was $1400 back then. 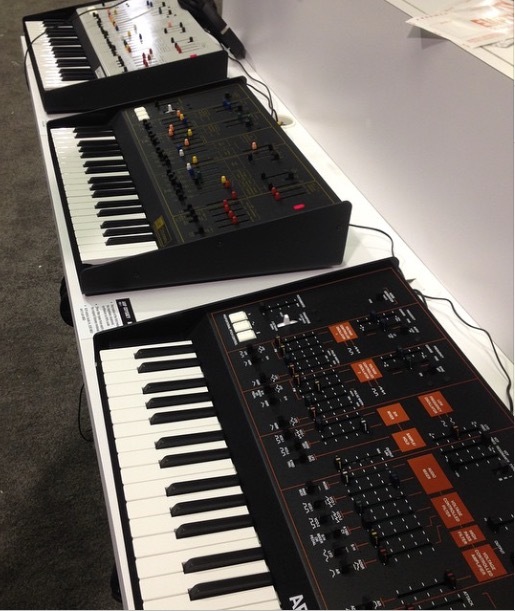 – these are the same synths but different look. btw: all PPC no knob (which is good). duophonic – and filter switch for those 3 filter modes. Btw – these keys are said to be the MS20 Mini size – between that of the MS20 Mini and Microkorg – if so this Odyssey is a bit smaller, has no dynamics and very likely simple MIDI Note on and off – but nothing else incl. no bender PPC transmit to keep the circuit as untouched as possible – well – it is touched as soon as there is a filter type and drive switch – I also hope for faster LFO mod but – maybe one needs to do that on „ones own“ – which may be SMD stuff – not hard to do but need to open it – possibly easier than opening the MS20 case..
the Behringer thing: they did a mockup but it’s just a „question“ to us – not even close to a release. 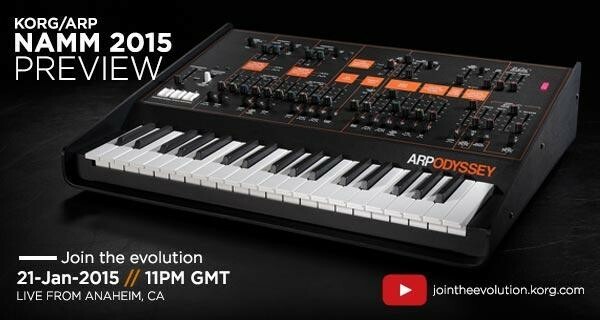 Korg says 2015 – but well – we do know it might take longer see Tribes, see MS20 Mini etc.. which is basically good since it might help agains bugs and stuff..
die 3 Filter sind drin, Drive gibt es und ob es MIDI gibt oder sowas wie Dynamik – ich tippe auf keine Dynamik aber sehr simples MIDI (on/off) wegen Duophonie.